For over 16 years those who entered the family surgery waiting area at South Central Regional Medical Center were greeted with a gentle smile and a warm embrace by Mrs. Charlene Todd. 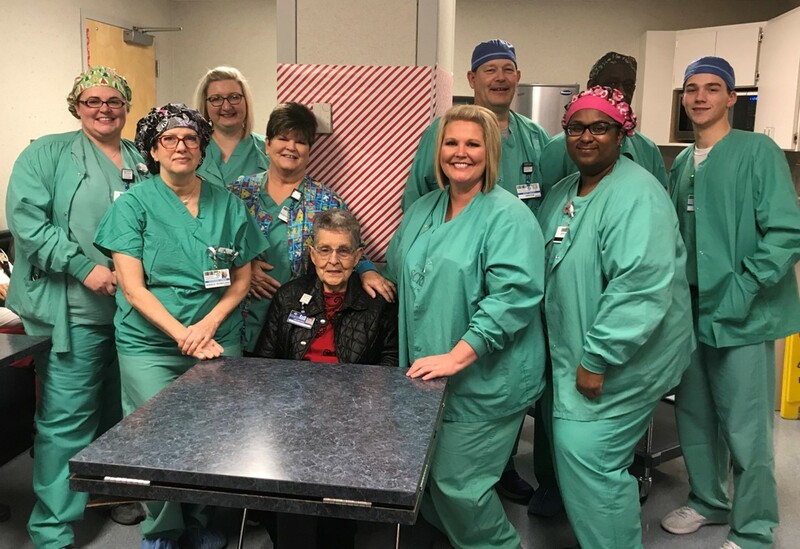 Mrs. Todd served as an integral part of South Central Regional Medical Center’s Volunteer Services and has recently retired to spend more time with her children, grandson and dog, Charlie. As a volunteer, Charlene would deliver flowers to the inpatient rooms, assist at the Information Desk, and lend support at blood drives and community health fairs. 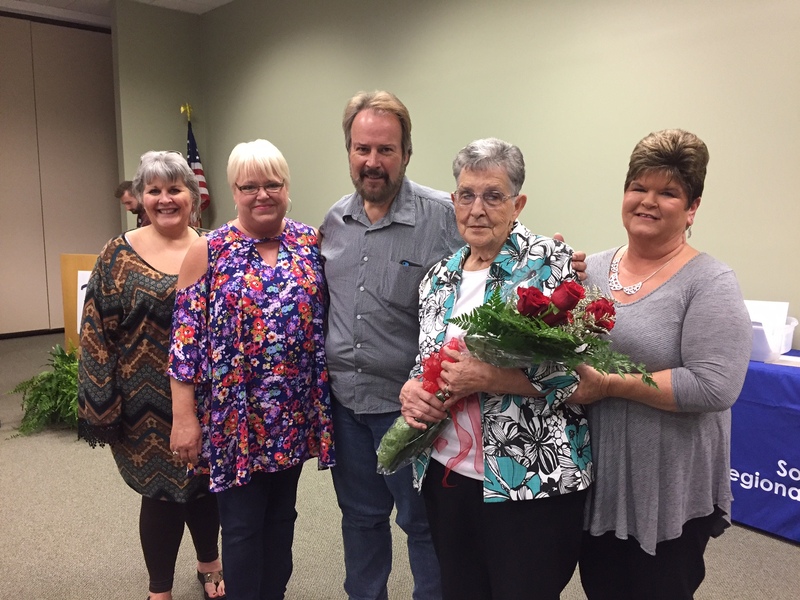 But over time, she found her passion for volunteering was in the family waiting area. Along with helping patients, Charlene would also help the SCRMC volunteers. The respect and admiration of Mrs. Todd goes beyond being a volunteer. She has spent many years proving this to others in her kind actions and warm words. Volunteering makes an immeasurable difference in the lives of others. According to medical studies, volunteering also helps those who are offering their time. From lowering stress to boosting self-confidence, volunteering offers many health and mental benefits—especially for older adults. If you are ready to experience these benefits, South Central Regional Medical Center invites you to apply to become a volunteer. Volunteering for SCRMC offers many opportunities of service for individuals, ages 16 years old and up. To apply, please visit our website at scrmc.com/community/volunteers, email bsmith@scrmc.com or call 601-426-4704 today.